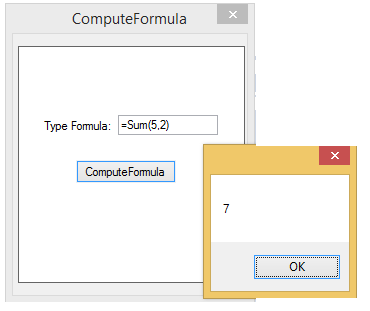 How to calculate Formula using ComputeFormulaValueAt method? By default, the arithmetic operations cannot be parsed in Expression fields. It can be achieved by defined the methods manually like SUM,MUL,SUB… and adding those methods to the library function. So that we can use these methods to perform the arithmetic operations. By this way, any of the methods can be added for customization to calculate the values.